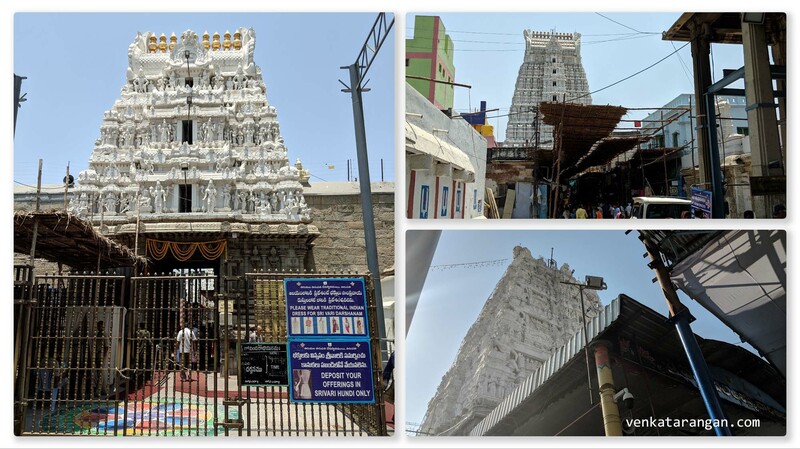 Today I went with my family to have Darshan at the famous Thiruneermalai temple. 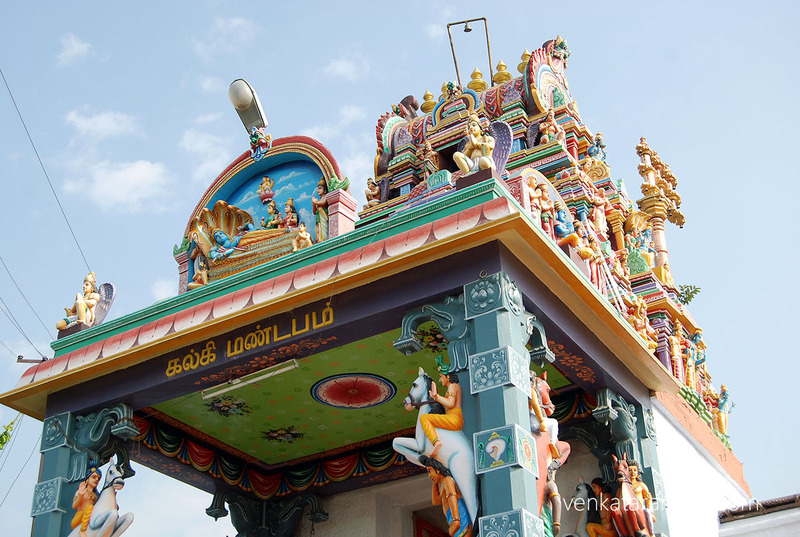 The temple is dedicated to Lord Vishnu and is one of the 108 Vaishnava Divya Desam. 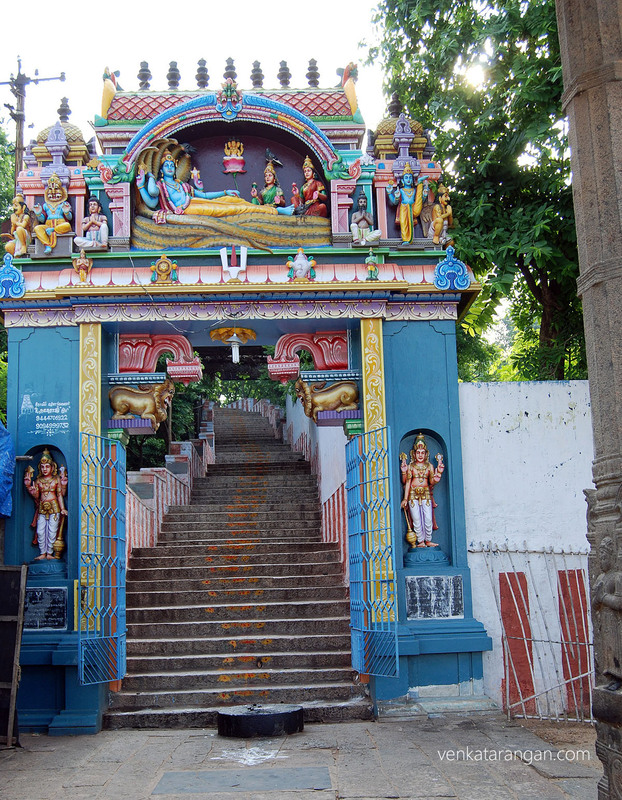 To reach the temple is easy, it is just about 5-6KMs from Pallavaram (few more KMs from Chennai Airport). If you are coming from Chennai Airport towards Tambaram in GST road, just after the right to Pallavaram, you take the next right (below the new flyover) to Thiruneermalai Road. 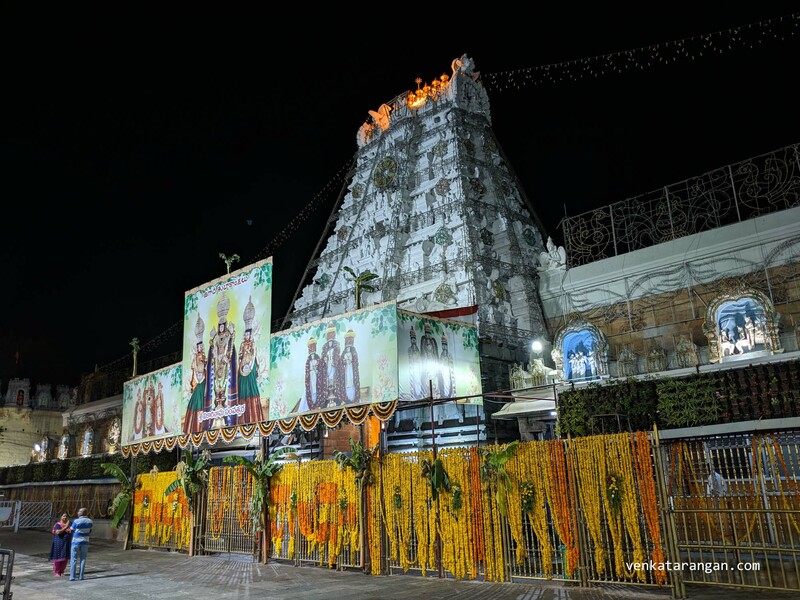 There are two temples here, one is on a small hilltop (Reclining Posture – Lord Ranganatha) and the other on the base of the hill (Standing Posture – Lord Rama). 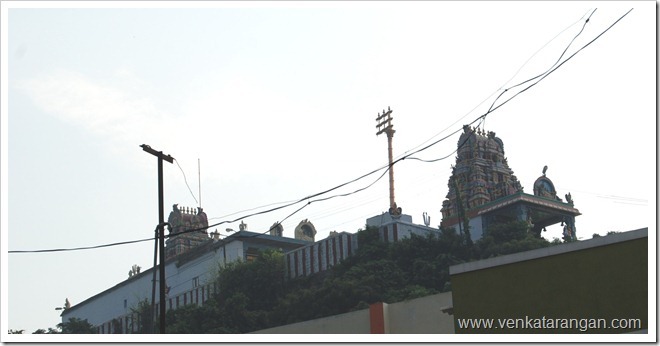 Compared to Sholingur and other hill temples climbing up this small hill is easy, just about 200-250 steps and took less than 10 minutes to climb up. The hilltop is shown in many Tamil films. Since it was working day and morning hours, there were hardly few other devotees, so we had a peaceful darshan. 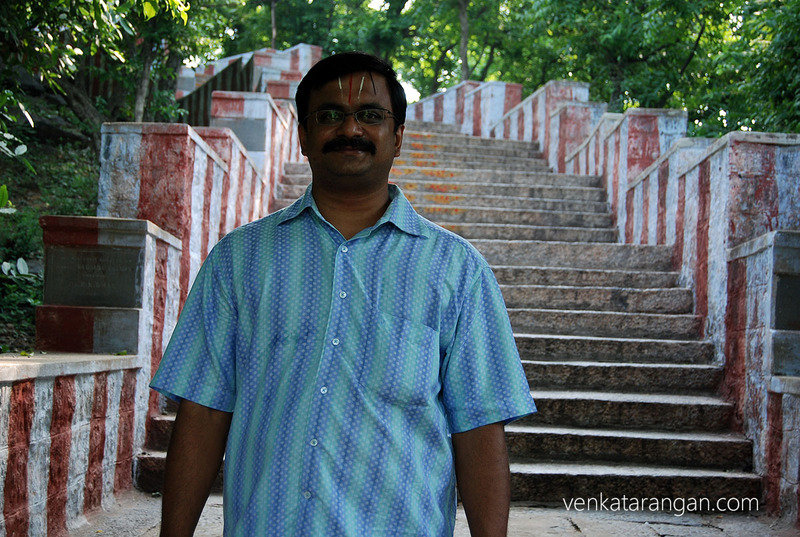 The temple seems to have been renovated recently, steps were well done, paint fresh on the Gopurams. Fine job by the HRE Board of Govt. 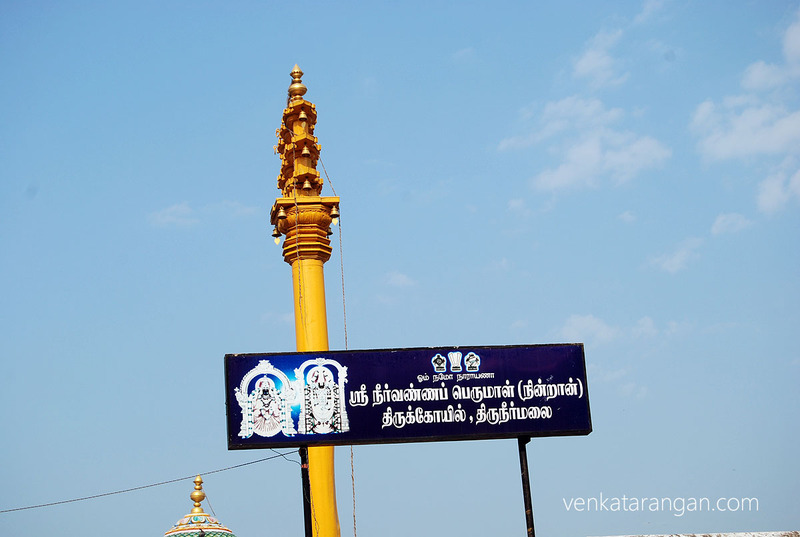 of Tamil Nadu and local municipality. As a common theme in many tourist places in Tamil Nadu (and across India), there were the locked Bathrooms. 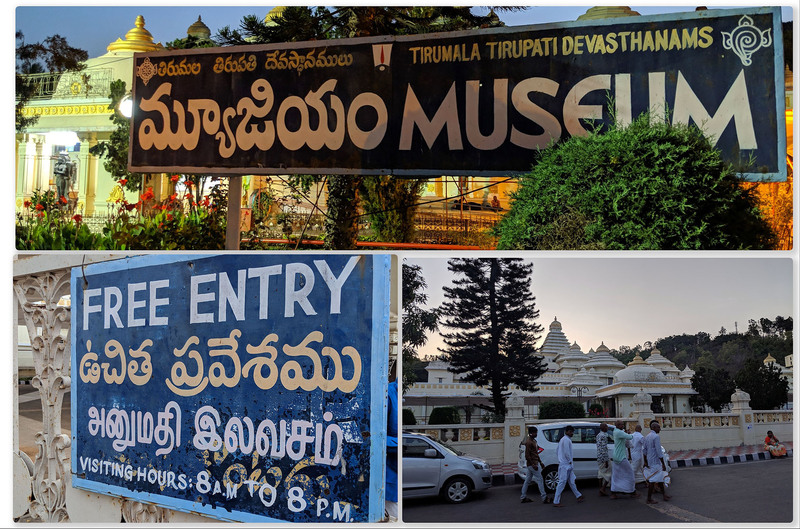 The local municipality has built on great cost a water tank & few Toilets in the foothill (near car parking) for public convenience but they were all locked, you need approach the temple staff for the key (who surprisingly obliged on our request). Reference: Detailed information can be found in this fine blog post.